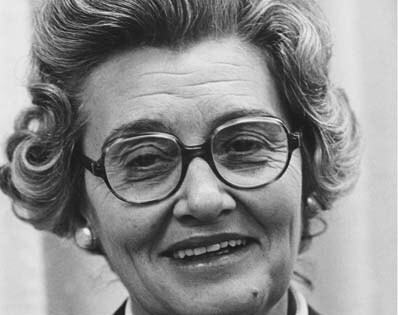 Hilda Pauline Watson born 1922 in Saskatchewan, died 1996 in Yukon; elected 1970 in Carmacks-Kluane, 1974 (resigned 1975), 1975 (by-election) in Kluane; appointed 1970 Minister, Member Executive Committee; Progressive Conservative. First woman in the Yukon Legislative Assembly named as Minister, Member of Executive Committee; first woman elected to lead a political party in Yukon and in Canada. February 19, 1973 – Hilda Watson opposes the motion to change to Western Time Zone.